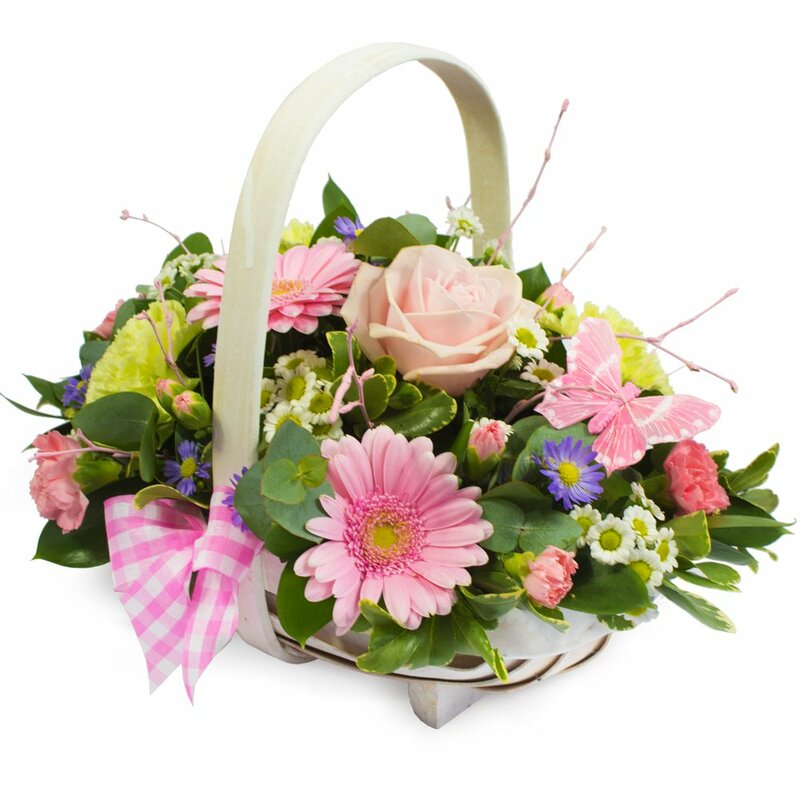 A pretty and summery basket arrangement in soft shades of pink. 'Pretty perfect' for Mother's day. Delivery on Mother's Day or another day of your choice, add a simple card message to complete ready for delivery in and around Hereford by your local florist. A lovely design easy to care for and easily placed around the home.